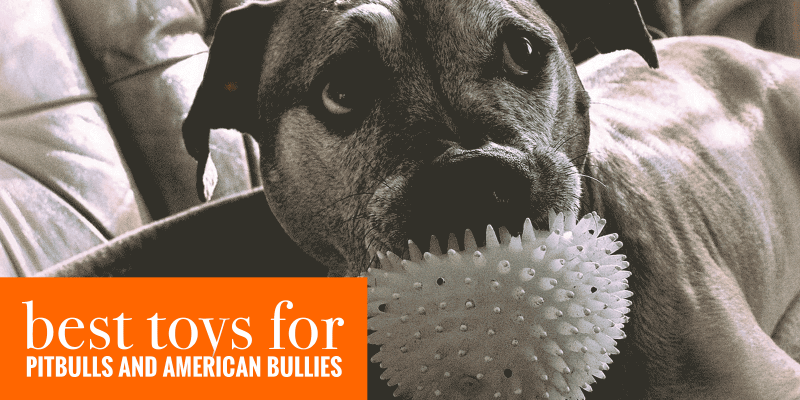 10 Best Toys For Pitbulls & American Bullies — Balls, Bones, Chews! 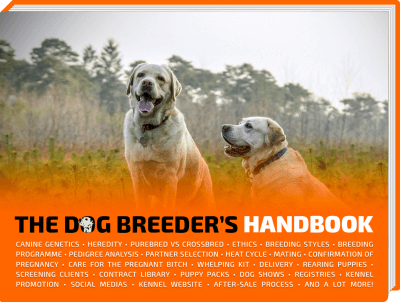 Finding and buying the best toys for Pitbulls and American Bullies is a tough mission. Bullies, as well as pits, mastiffs, and rottweilers, have incredibly strong jaws that very few toys will resist. We’ve all been there, we buy the so-claimed strongest toy and it breaks by the time we get home. And sometimes, we buy the cheapest one out there, and it stays intact for months. Toys for American Bullies and Pitbulls have very little correlation, if any, between pricing, resistance, and durability. More than the materials used, it’s how the bully toys have been assembled that will matter. Don’t we say anything is as strong as its weakest link? Well, it is also the case with American Bully games. If you landed on this top review of the best bully toys, you have probably been buying stuff that did not last long and you are tired of browsing for the unicorn. We’ve got your back and we’ve shortlisted the absolute top 10 best toys for American Bully dogs. Sure, durability is one of the most important ranking factors, but not only. We have also considered how stimulating the toys are, how much value you get for the price paid, and also compiled feedbacks from other customers all around the world. — Super-Engaging Dog Chew Toy! Dog toys need to be exciting for more than a couple of minutes, and this is what this treat-dispensing dog toy by West Paws does. It keeps pitbulls and American bullies mentally engaged and stimulated for a very, very long time. The secret is genius, and dogs love it without exception. Firstly, the shape bounces in random directions so your bully will enjoy the surprise movements and will stay alert to catch it and keep on playing. We all know how much dogs love tennis balls, so imagine this toy that moves in random ways, it’s a winner! Secondly, if you turn the toy around to look underneath, there is a shallow spot where you can put some peanut butter, or treats of your choice, and drive your dog crazy. He or she will spend so much time trying to reach these treats or spreads that you can safely disappear without your dog noticing. Lastly, the West Paw Zogoflex is BPA-free but also free of phthalate and toxic chemicals. It is proudly FDA compliant and made in the United States. It’s not super cheap but most definitely worth its price so try it out and thank us later! 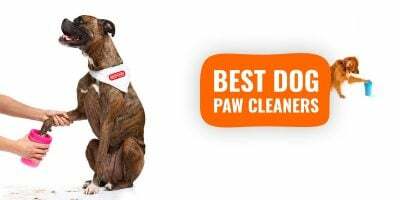 — Super Healthy Dog Bones For Bully Breeds! Many dogs owners, if not most, will give their dogs some low-quality bones made of chemically-treated rawhide and other cheap products. I never understood, why not give your dogs a real meaty bone? 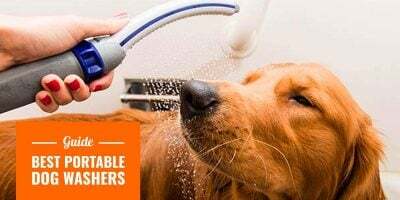 They also last for a very long while, and they don’t cost much more while being so much better for your dog’s health, and teeth. This bone is huge and therefore only suitable for adult bullies and pits, but also for there large dog breeds. It has been slowly roasted and has that irresistible flavor for dogs, as well as tasty pieces of tendon and meat. 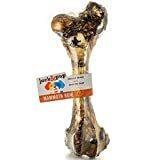 I know of no dog who can resist these bones (they come in different shapes) simply because they have real meat on the bone and real beef flavors. 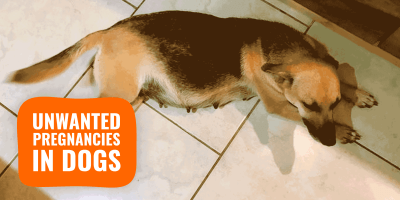 It’s worth trying it out but your dog might never use fake bones again after that! The size is roughly 16 inches long but many other buyers have noticed that they actually seem bigger than that, so it’s even better. Don’t overdo it, just offer your dogs one every weekend as a big treat, otherwise, it would not be cost-effective. 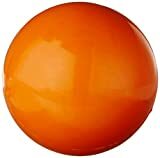 — Best Indestructible Dog Ball For Pits & Bullies! Goughnuts is a brand made in the USA, from design to production, and I’ve met their team at a huge pet exhibition in Birmingham, England. They were showing off how indestructible their range of toys is and truth be told, it’s pretty incredibly tough. They even have a warranty: there is a red center in their toys and if your dog exposes it, you send the toy to them, and they send a new one back to you. Simple, efficient, and virtually lasts forever! Each toy comes in various colors and strength so pick the most appropriate… or you can just buy the toughest and most durable product in the range. Keep in mind that the most resistant Goughnuts are also the heaviest. Also, the most durable Goughnuts toys tend to be hard to touch so puppies could potentially break a tooth (never seen it happen but just be cautious.) If you have a pup, perhaps buy a softer Goughnuts toy along with the toughest, and keep the latter for a few months’ time. Price-wise, these are generally a bit pricier than your average doughnuts, ball, or stick. But for once, the price is justified. They have real engineers working on improving their products, and they make it happen in the United States, not in some random factory on the other side of the world. They are worth being supported, and their email support is reactive! — Healthiest Chew Toy For Pits & American Bullies! Himalayan dog chews are edible chews which means that dogs while chewing, can absolutely swallow the chunks that chip off over time. It’s relieving since it always happens and many dog breeders or dog owners find bits of nylon, for example, in their dog’s stools. Himalayan dog chews are made mainly with yak and cow milk, lime and a pinch of natural salt. 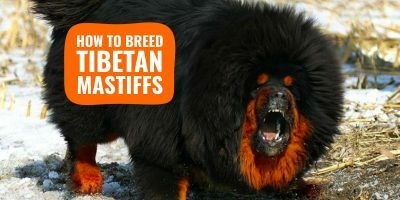 It’s an Asian recipe that makes very hard blocks of cheese that are then cut in small pieces for dogs, and humans, too. 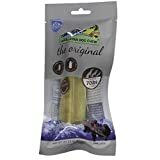 These are perfect for bullies, aggressive chewers, and strong breeds because they last a very long time and are very healthy. Dogs love the taste, too, so it’s a sure winner! — Dog Tug Rope That Flosses Too! Not sure if you have ever tried brushing your dog’s teeth (you should have! ), it’s not easy but there are a lot of toys that can help to keep dogs healthy. 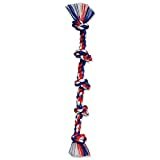 And this rope tug for American bullies will floss your bully’s teeth while playing tug-o-war. It’s a super smart system and costs very little (it’s just a rope, after all!) It’s a very large rope, measuring 72 inches, with five knots. Colors may vary but it doesn’t matter that much. The rope is made of a strong blend of cotton and has been conceived to floss your dog’s teeth during playtime. Your dog will bite into the rope and the cotton-blend fibers will floss its teeth the more your dog pulls. This rope toy is not an ordinary dog rope and will last you for years. There are ropes costing a lot more out there, and being as good as a fraction of this Mammoth Tug Rope. If you have a puppy, you may order the smaller version since this is very big. Probably bigger than you think and with bigger size comes a bigger weight. Some puppies would struggle to drag it around, for example. If you have several dogs, they will most definitely enjoy it together at the same time, each pulling in their own direction. — Bestselling Squeaky Plush Toy For Bullies! Squeaky toys are perhaps the only dog toys that actually interact with your pet; other toys just don’t make a noise and don’t do much besides being toys. A squeaky toy will make noises that will surprise your dog and that’s the sort of excitement all dogs deserve. The problem with squeaky toys for American Bullies is that the mechanism used to make the noises can easily break and get pierced. Squeaky toys tend to be either plush toys or rubbery ones; you should favor plush squeaky toys for pitbulls, mastiffs, and other strong breeds, since rubber is easy to rip for such strong jaws. Such toys are available all over the place and quality varies, sometimes even in the same product depending on how qualitative each batch is. These won’t last forever but they are so cheap I recommend buying them by 5 just to be ok for the rest of the year and beyond. 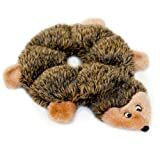 — Long-Lasting Tire Toy For Dogs! Cheap, fun, and made by Kong, a leading brand in the production of durable toys for aggressive chewers. Coming in two different sizes (small and large), this rubber tire will roll, stop, roll again, and amuse your dog for hours. It is designed in the United States and has been around for years… during which it has been perfected further! It’s also a great toy your dog can fetch, for example. The tire’s inner wall can be stuffed with delicious treats or peanut butter in order to intensify your dog’s excitement and stimulation. The tire ridges are great for your dog’s periodontal health as it efficiently cleaves and flosses your pet’s teeth and gums. 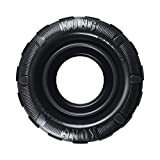 KONG makes very durable and resistant dog toys, and along with Goughnuts, they are built for aggressive chewers but would suit all dogs, obviously. Make sure you try different shapes of toys, as some dogs prefer sticks, other doughnuts, and some just the good ol’ regular ball! — A Fun Slow-Feeder For Pitbulls! Alright, we’re cheating a little bit here because this Outward Hound Fun Feeder is not a toy per se but it’s fun as heck! Originally, it is a food bowl with meal-lengthening ridges and mazes. Meaning, your dog will take a lot longer to finish his or her kibble. It’s a way to make meals much funnier and turn these into games. Just find the best food for pitbulls and start using this fun feeder by Outward Hound. They sold over a million of these so you can trust the quality of such a simple product. Avoid cheaper alternatives, they won’t last you long and don’t have the same level of efficiency. Tennis balls are fun, but they get shredded within hours or days with most Pitbulls and American Bullies. Good that Snug Rubber Balls exist and fix this problem by offering virtually indestructible dog balls that are tennis ball-sized and super long-lasting. Unlike most ball toys for pitbulls and American bullies which are made using plastic foam, these are conceived using all natural rubber and FDA-compliant. Floating, these are perfect if you have a pool or a pond where your bully can play in. They come in flashy colors so they can be spotted within seconds by any dog, and you won’t lose tennis balls anymore. 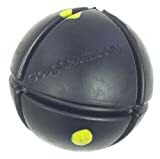 If you have a dog ball launcher, these balls will fit in perfectly and they only cost a tenner. Worth every penny. Of course, there is no seriously indestructible toy for dogs but most of them reviewed here will last you a very long time. Additionally, there is a Lifetime Replacement Guarantee! Each product has the odd customer review stating how after three minutes the toy got destroyed, but realistically these are very resistant dog toys for American bullies and pitbulls. You can purchase them, get your bully to try them, and keep on buying the ones you like the most! — Best Floating Flyer For Bullies! Chuckit! is a famous dog toy manufacturer, especially for any game or accessory involving some sort of launching, throwing, or chucking. 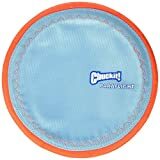 They have made some best-selling dog ball throwers and this flying disc is again, a surefire toy for any breed. It’s resistant and will last you for a very long time. I would leave it at your dog’s disposal but instead use it just for what it has been designed for: long fetch sessions in the wood or in a park. The tissue is using durable fibers and resisting materials so even when chewed intensely, the whole toy should remain intact. It’s not a forever toy, but it is worth investing in it as it costs a mere $10 as the date of writing. For added fun, please note that this flying disc floats on water and uses high-visibility colors so it cannot get out of your dog’s sight, and lost. The edges are more of soft but solid rubber so your dog can safely catch the disc in-flight without risking any harm to its teeth or mouth. The inner part of the disc is made of very strong nylon for great durability.